January was as usual a long month, but this year seemed to be an endless run of grey days. Hence, when the forecast promised something brighter, and I was able to, I zipped out to the Forest Of Dean, to revisit a site I have been to before. At the edge of a patch of woodland, where flocks of crossbills feed high in the trees, is an area with puddles, in the open, and the birds use them to drink from. As is normal with crossbills, one hears them before seeing them, so I had to listen carefully whilst waiting for a chance to photograph them. In the lovely light, both genders of the bird glowed, and if the birds were at the right angle, reflections in the water could be had too. 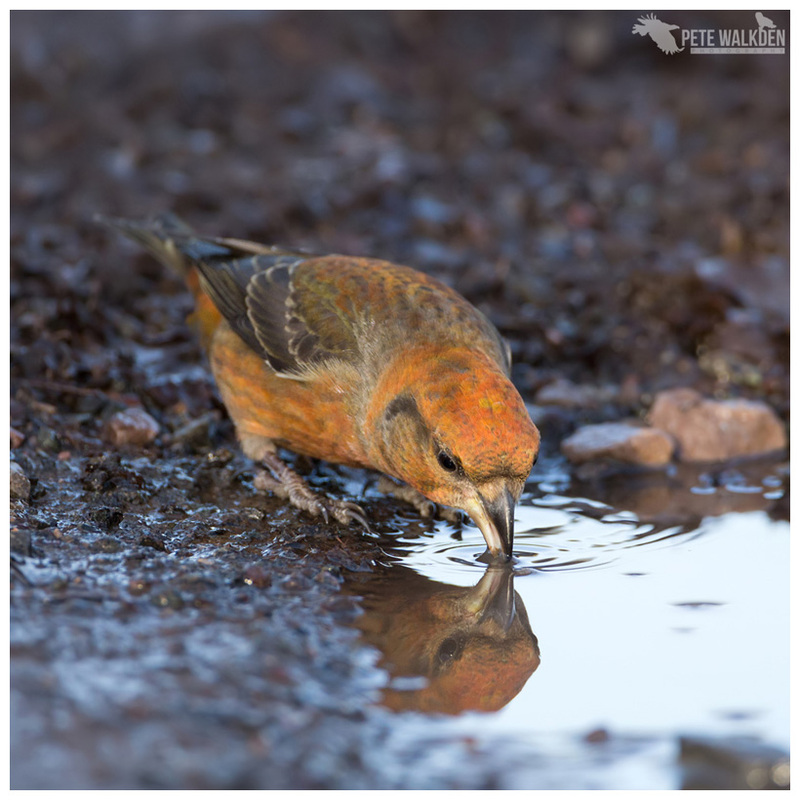 I liked this image the most as it clearly shows the crossbill, a male, drinking, but also has a clear reflection of the head too.